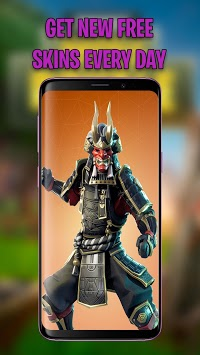 If you are looking get free new Skins for Battle Royale, congratulations, download our new application and get every day, free skins from Battle Royale. 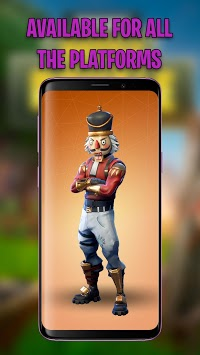 Now you don’t need to spend v-bucks, with MySkinsFBR: Free Skins Battle Royale you can apply for new skins and the best thing is that you can use it every day and for free. Your friends will be surprised, show off in front of you Friends and be te King in Battle Royale. With this application you can get free skins every day and every time. MySkinsFBR: Skins Battle Royale is very easy to use and 100% safe. We have a very simple interface user friendly. In a few steps you will be able to add to your game account the new skins. Become a new beta tester and get the best skins for battle royale. 🤔 if you want get 3D model of the skins, all seasons and all types of outfits. ● This is not an application to hack or manipulate the real game Fortnite! 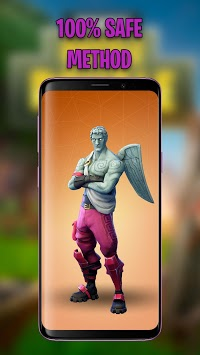 ● You can not transfer skins or other securities from this application to Fortnite! ● This is a joke to your friends think they are real. This content is not affiliated, endorsed, sponsored, or specifically approved by Epic Games is not responsible for it.